Perfect Pyramid is a six tracks instrumental concept album about a journey. A journey within or outside ourselves. On this planet or another. Everyone can experience it in his or her own way. But don’t worry, a normalisation* track to get back home is included. Ideas are the most beautiful things we have in the art universe. Sometimes I think there is to difficult to transform what we have in mind to the real object (in this case the music), but when you spend so many years of thinking of the same idea and you are burned with the desire to do it, nothing is impossible. I had a lot of material as a draft already recorded, but I started working on some single pieces, and since they were good I continued on this path. It did not seem appropriate to assemble it together, but nevertheless, it is always part of the same concept, and therefore it was suitable to end up in the same album, with a logical thread that bound it. So I first thought of a story, then I separated this story in various parts (hence the song titles), and then I started working on the single songs. At the moment all the pieces are sketched (in a very rough way, full of errors and dissonances) and are a reasonable basis, which tells a story, on which to develop the arrangements and the final ideas. Thin Door, the third track of the album is almost finished and will be released when the "Your solo on the Limited Edition single CD" event will be completed. The album can be pre-ordered at Bandcamp. Revenues will be used to finance the next musical project. 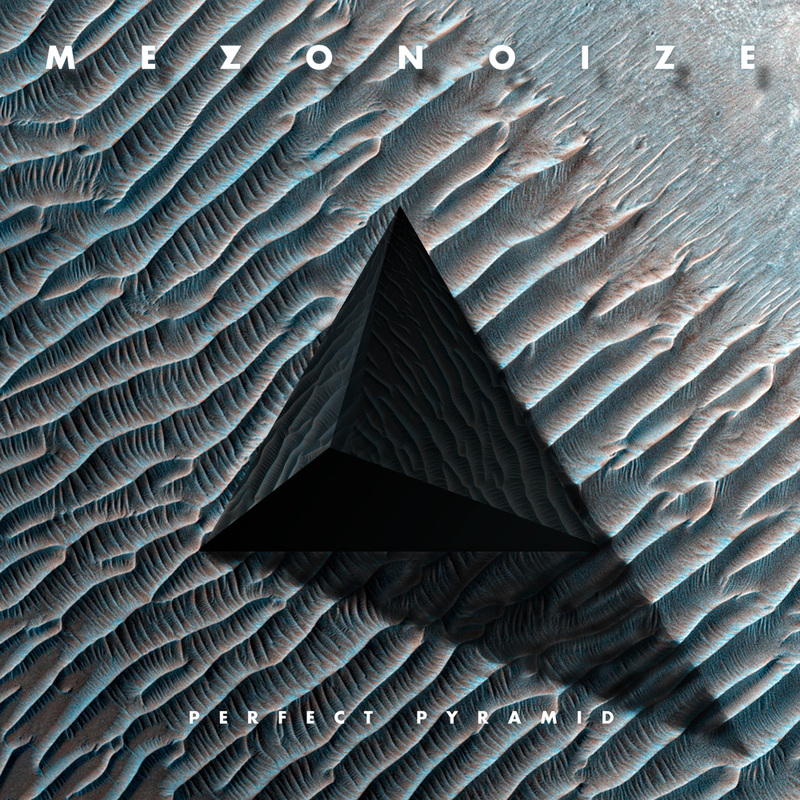 The cover of the album is formed by a black pyramid and a terrain. The terrain is a real photo of Mars surface taken by Nasa. The Pyramid is a digital work build through Mars surface's photo elaborations. *If you experienced the Perfect Pyramid music in a good way (listen to it almost three times, relaxed, on the bed) you could experience the journey. When the music ends, you can be not happy to return to the real world. The normalisation track could be a good thing to slowly fade out of the journey. Is this not very serious, or is it?